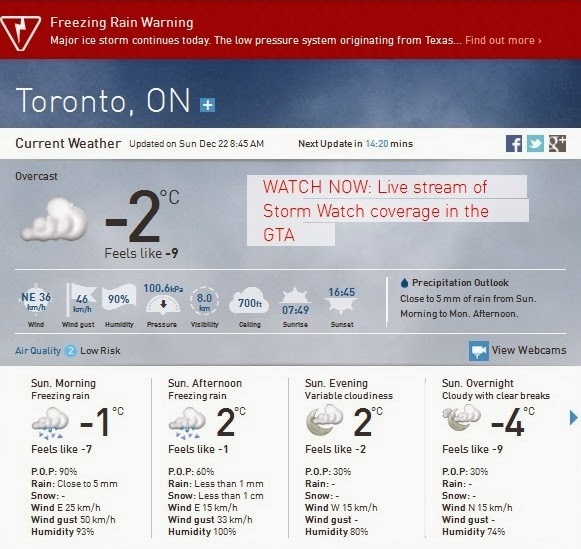 There was a major ice storm that passed through Toronto last night and continues today. More than 250,000 homes in the Toronto area are without power ... and there's no guarantee it will be back on for Christmas. Flights are delayed or cancelled. 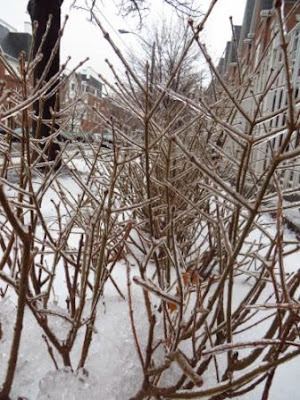 Streetcar service has been suspended due to icy power lines. The subway line has been affected. Here's our street ... it's cold, raining and slippery. Brrrrr! 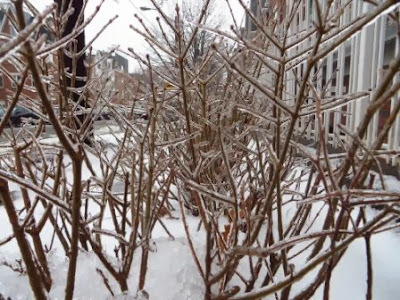 When I went outside, I could hear the frozen branches on the trees cracking when the breeze came up. We got hit with a lot of snow (not exactly sure how much) over night here in the Gatineau Hills. It is now freezing rain and we are suppose to get 5 more cm of snow. So glad we did all our errands yesterday so we can just hang out at home today! Be safe! Oh man! We're getting a heat wave down here. It's almost 60 today - we're all in shorts. Lady: I hope you don't get what we got. Our transit system as basically been shut down. Mommy: Quite a difference where you are! 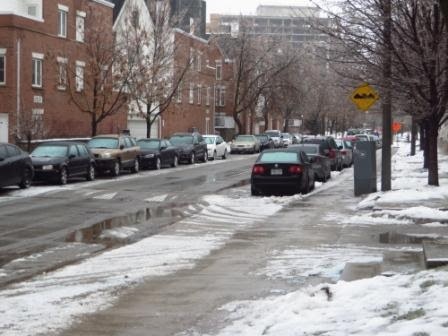 Man, it is SO icy up in Markham. I spent almost an hour deicing my car today!! Stay safe and warm!